So, let’s plunge into information currently available on the web. Perhaps, if we collect all relevant facts together we will be able to compose another interesting picture. - In 1945, one of giant pyramids was noticed by the American air force pilot James Gaussman when he flew above KinLinXiangMountains near the city of Xi’an in Central China. He was astonished at the pyramid size and that fact it’s made of a white shining material (we won’t comment this information, for anything can happen as they say). According to some internet sources, Gaussman photographed the marvellous structure, but the image disappeared from archives later on. Rigden: …References to the four Aspects with the centre – the Soul, are present also in Asia, particularly in the ancient Chinese mythology. Such a collective concept as Wu Ti means five mythological characters, each of which has its own assistants. This term was used by the ancient Chinese to denote the “abstract spirits of the five elements.” Wu Ti is mentioned in the ancient book Zhou li (The Rites of Zhou). Various ancient philosophers deciphered the Wu Ti concept in their own way: some wrote that this meant “the five deities”, others wrote about “the five emperors”, still others – about “the five of the greats.” In any case, this notion was equated to the symbol of five directions (the four cardinal points and the centre). Bruce Cathie took a great interest in the subject, collected all the available information and sketched 16 pyramids located near Xi’an. 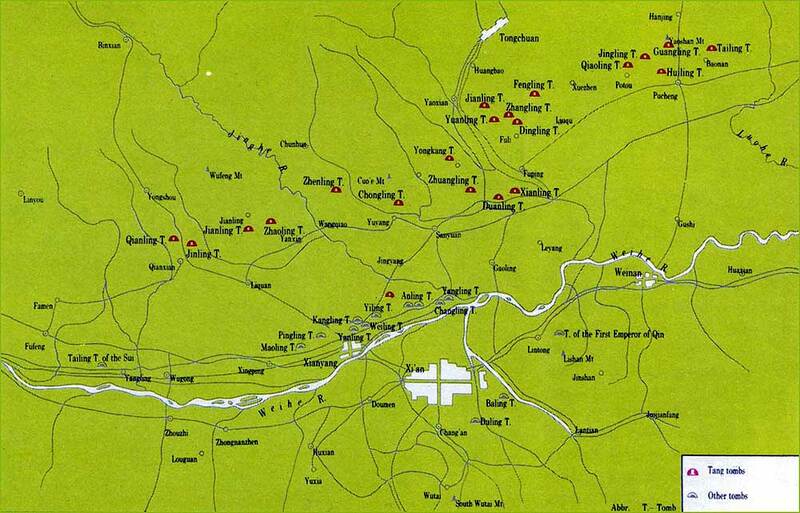 In 1974, China announced the discovery of the Terracotta Army in the emperor’s Qin Shi Huang necropolis situated two kilometres away from one of the pyramids. In 1966, an archaeological expedition was first admitted to the pyramids. However, archaeologists didn’t have time to do their job because the Cultural Revolution headed by Mao Zedong took place in the country. At that, according to some sources, the library collected by Buddhist monks for several thousand years was destroyed in Shaanxi province. 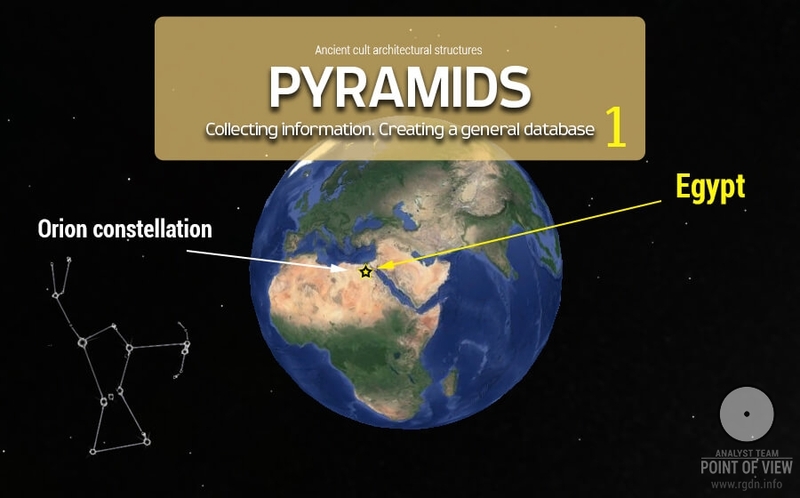 Researchers say the library contained unique written records of the pyramid constructors, and those records were lost. In 1994, Hartwig Hausdorf (German researcher and traveller or head of a German travel agency, according to different sources) visited the pyramid valley together with Julia Zimmerman and Peter Cruss. 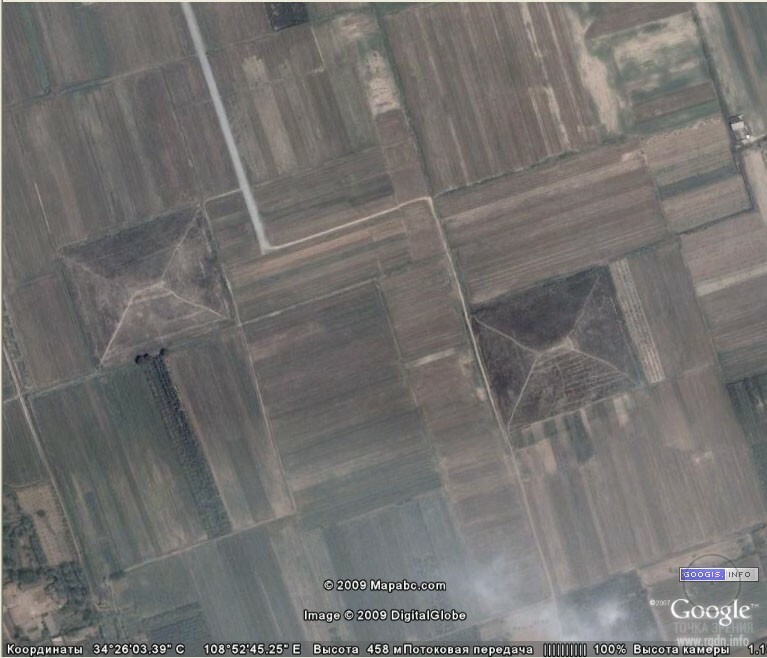 They took pictures of and described six pyramids (three in the area of Xi’an airport and three near the town of Mao Lin). 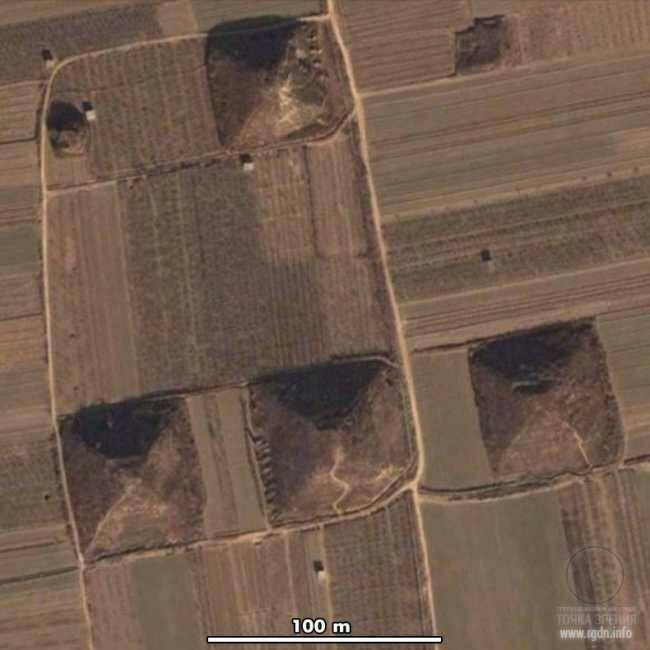 In 1996, they continued their research and discovered about 30 pyramids in one of Shaanxi districts, which pyramids are located separately or in groups of three or more. Most of the pyramids have 60 to 70 metres in height, and one of them as Hausdorf asserts is very similar to the Pyramid of the Sun in Teotihuacan (Mexico). A question arises who permitted exactly there researchers to take pictures in places prohibited for tourists, and why Hausdorf never published any of his photos. 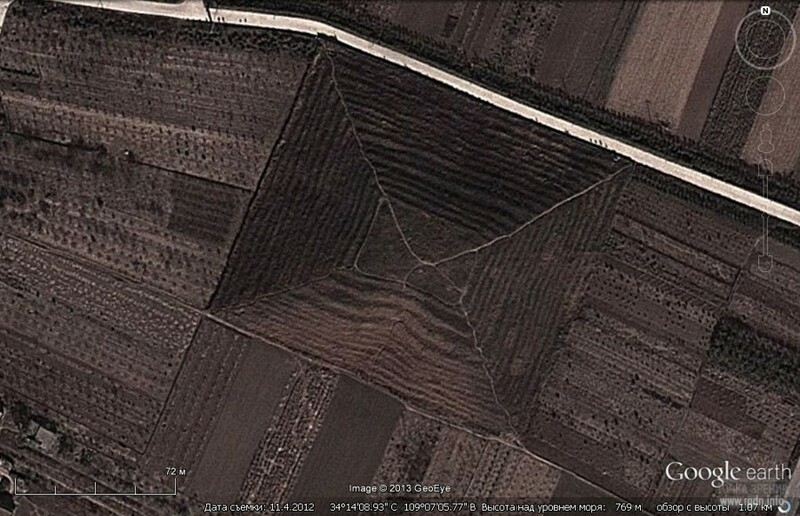 According to some sources, the three researchers failed to find the huge white pyramid photographed by Gaussman. 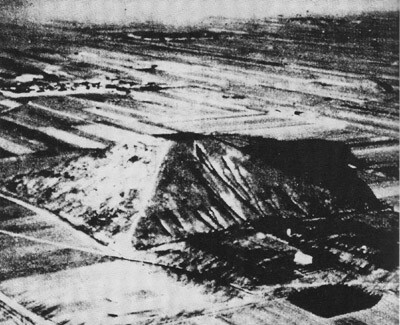 Later on Hausdorf published a book entitled The White Pyramid, which contains little specifics, but is the first book about the Chinese pyramids. 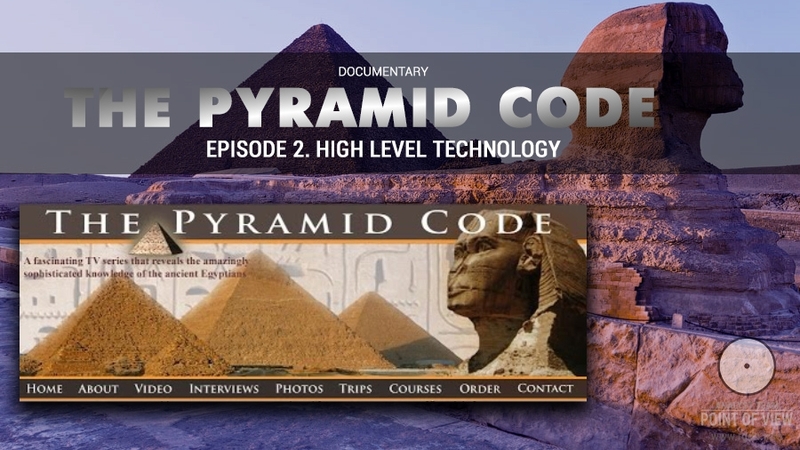 Relying on the works by Helena Blavatsky who wrote about pyramids oriented on the four cardinal points and on astronomical objects and built by precise math calculations, Hausdorf believed the Chinese pyramids were of extraterrestrial origin. Generally speaking, once Hausdorf’s book was released rumours started to accumulate about the White Pyramid and its story both in media and on the web, perhaps because very few people had attended the Chinese pyramid valley over a rather long period of time. 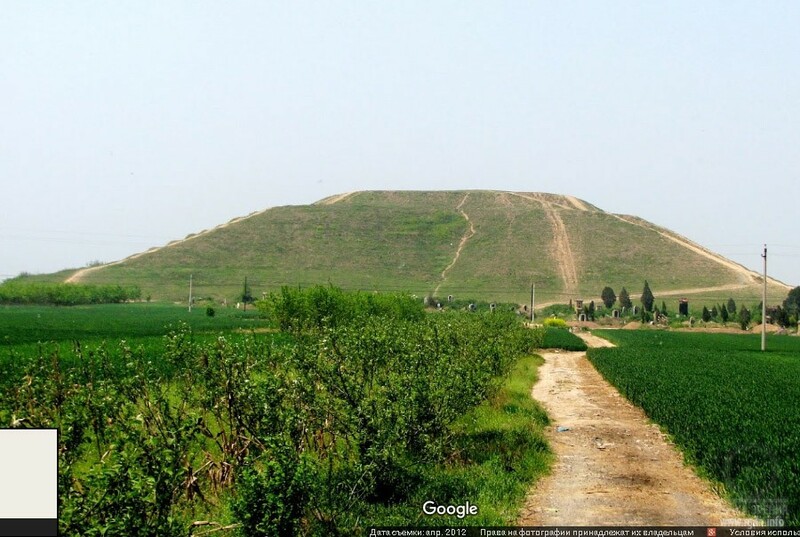 The White Pyramid is supposedly located in Shaanxi province, 120 km away from Xi’an, at latitude 34 north and longitude 108 east. 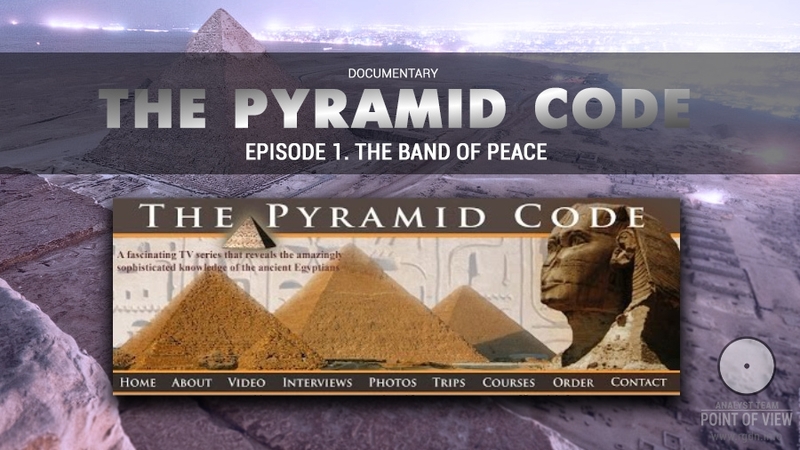 For all that, in 2000 Chinese authorities made the information about the pyramids public. 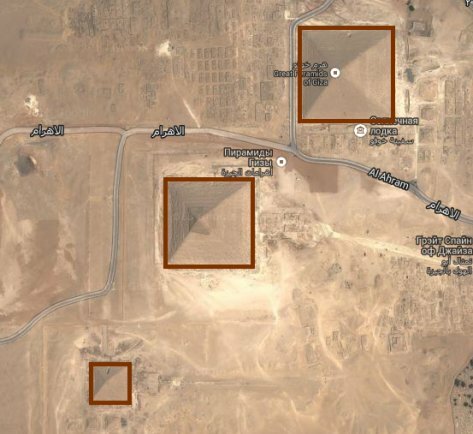 Some of the pyramids are now accessible, e.g. 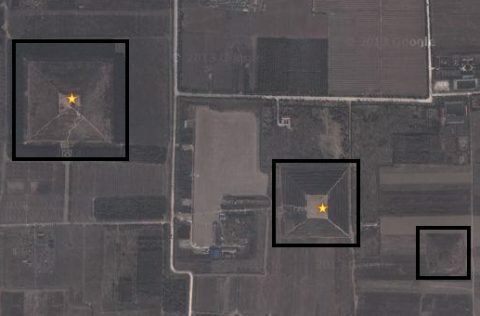 the Maolin Mound, Mausoleum of the First Qin Emperor (QinShi Huang), Tsang Lin Mausoleum, and a pyramid in YaSen Garden. 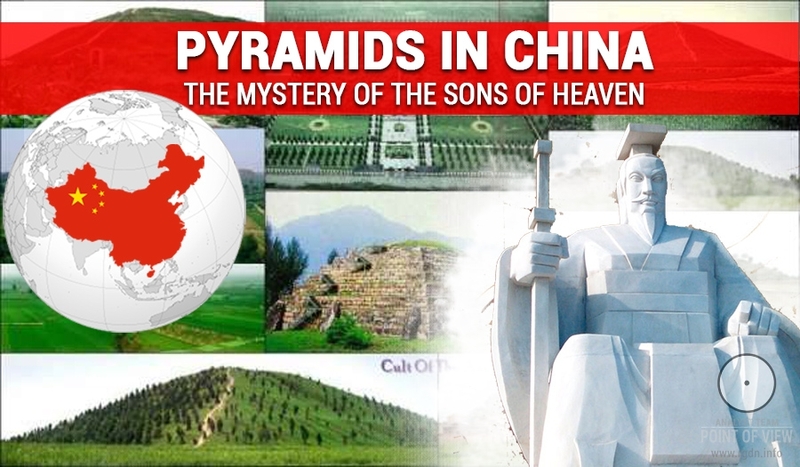 As for the rest of the pyramids, including the (Great) White Pyramid, Chinese authorities have still given no access to them for an unknown reason. 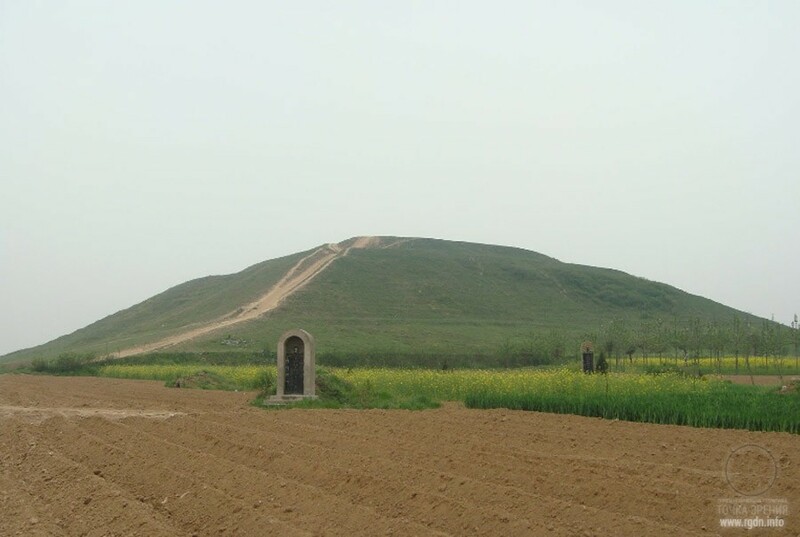 - On 2 July 2007, Chinese archaeologists summarized their five-year-long study of QinShi Huang’s mound with the use of sensor means (radars and distance data collection devices). It turns out inside the mound there is a huge (about 30-metre) nine-stepped pyramid. Scientists don’t mention what the pyramid is made of. Excavations have not been officially started at the site until today, although archaeologists of the ChineseAcademy of Sciences assert the pyramid is unique and unlike to any other discovered tombs of Chinese emperors. Some researchers assume this pyramid is a sort of a corridor along which the soul of QinShi Huang went to the heaven after his death. 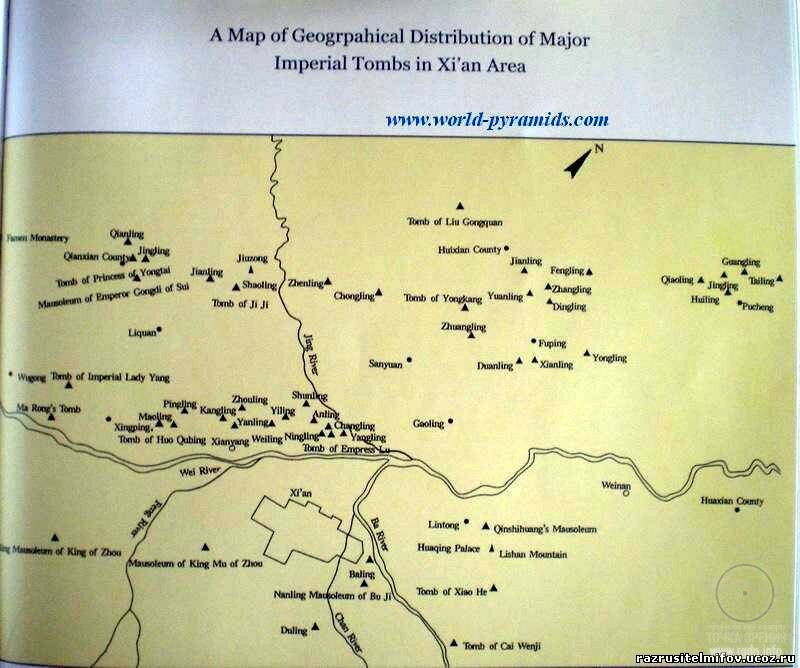 Pyramids surround Xi’an on all sides and are even found within the city. A vast pyramid valley is situated to the north of Xi’an, in the neighbouring city of Xianyang. Stretching from the east to the west for 50 km, the valley resembles the Milky Way. 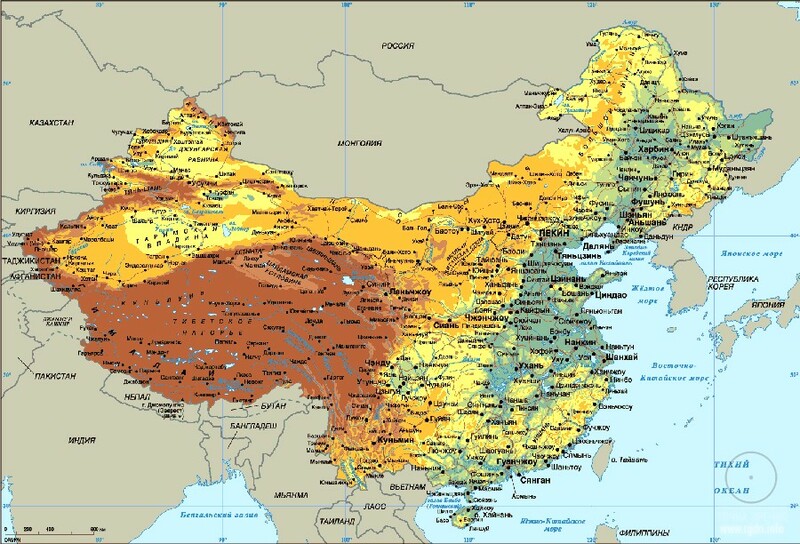 Owing to Hausdorf, this site is known to the global community better than any other place of such kind in China. 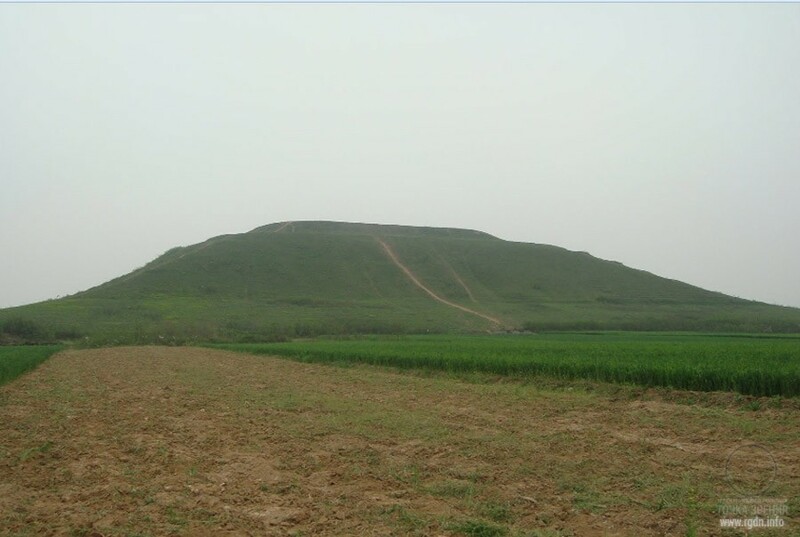 According to researchers, to the northwest of Xi’an and Xianyang there is another valley with pyramids that are much higher, more interesting and totally unknown. The legendary White Pyramid is situated there as well. 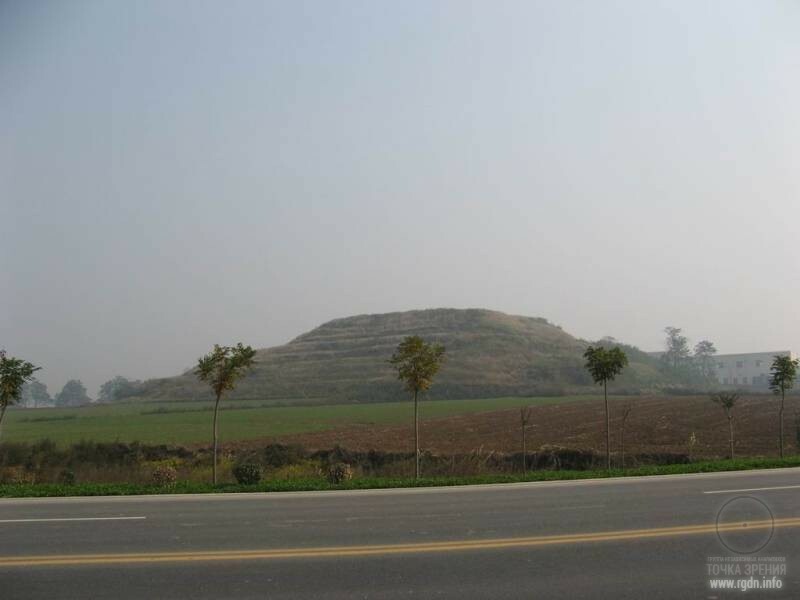 70 km to the northeast of Xi’an there is also an area of unexplored pyramids. Yet, the reason of that has been found a certain while ago. Suffice it to refer to Uvarov’s study of 2008, which indicates that around 10.5 thousand BC the North Pole was near Greenland. Hence, all pyramids with a deviated northwest orientation were built in the Upper Paleolithic, not later. Below, there is a classification of pyramids, which we’ve found on the internet. Most pyramids are square in base, though there are those with rectangular bases, more resembling huge cone-shaped artificial mounds. However, since the latter have parallel sides of equal length we will label them as pyramids of a special kind. 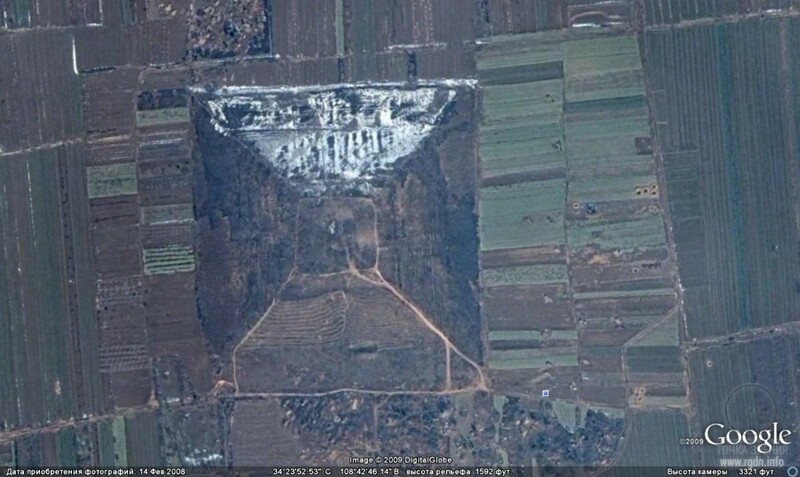 There are also pyramids standing on vast, but not high (up to 3 metres) square embankments or platforms; they are poorly seen in satellite images, but well noticeable locally. 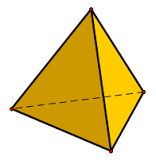 A truncated pyramid is the most widespread shape. When such structures reach 40-50 metres in height, their top ground is quite impressive – up to 50х50 metres. All of them resemble the Mexican pyramids, and in terms of geometry their shape is prismatic. There are also pyramids with relatively sharp tops similar to those in Egypt, but they are few and most of them are lower than 40 metres. Yet, there is a third type of pyramid tops – hollowed, forming an ideal-shaped spherical hollow that eliminates the assumption of clay subsidence. 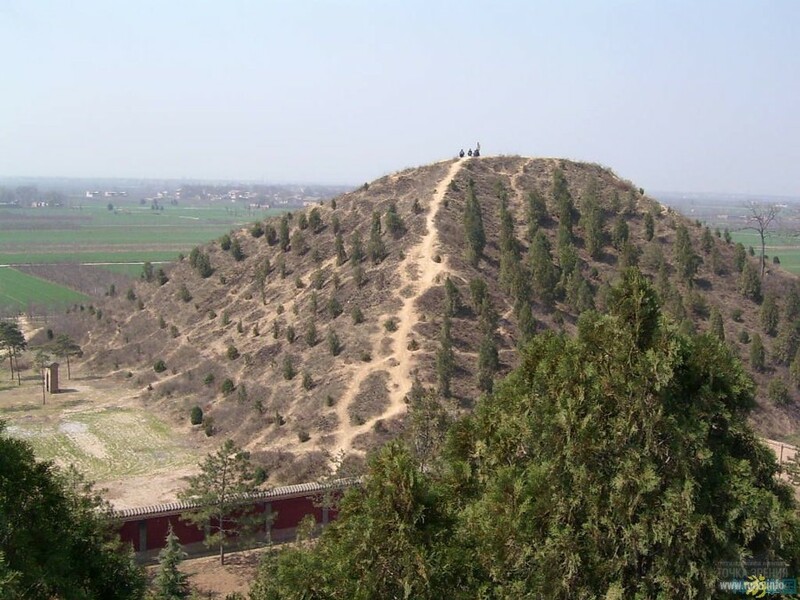 It is known that in the valleys around Xi’an and Xianyang there is only one pyramid of such kind, 17-20 metres in height. 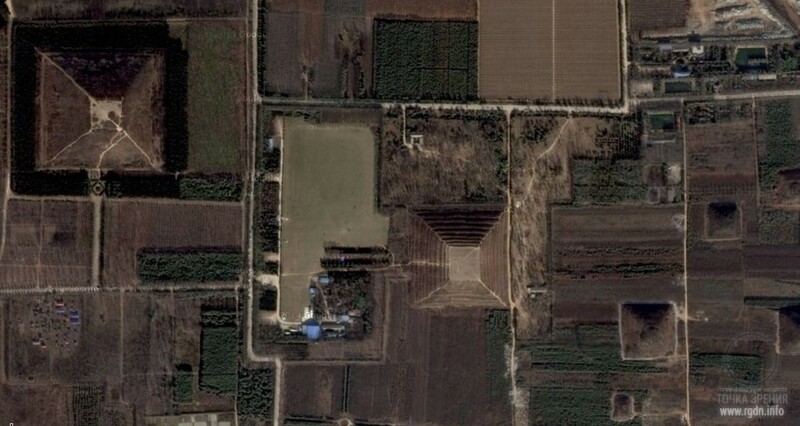 Chinese pyramids may also be divided into stepped and non-stepped. Stepped pyramids in turn are divided into multi-stepped and single-stepped. Pyramid steps represent terraces of 1 to 2 metres in height. Their purpose is unknown, especially when such steps reach the middle of a pyramid, then disappear and appear closer to the top. Pyramids with terraces or platforms on the top greatly resemble the Pyramid of the Sun, the Pyramid of the Moon, and other Mexican pyramids. An antipodal pyramid. 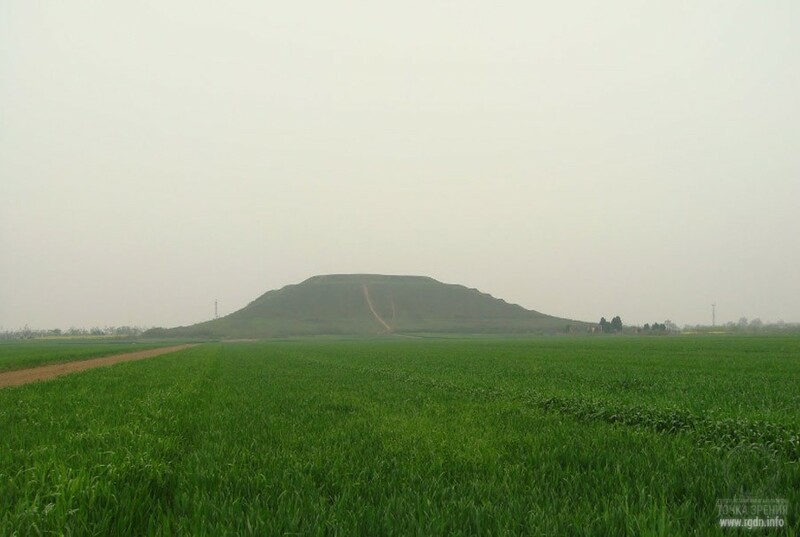 40 km away from Xi’an there is a very unusual pyramid resembling a quarry. 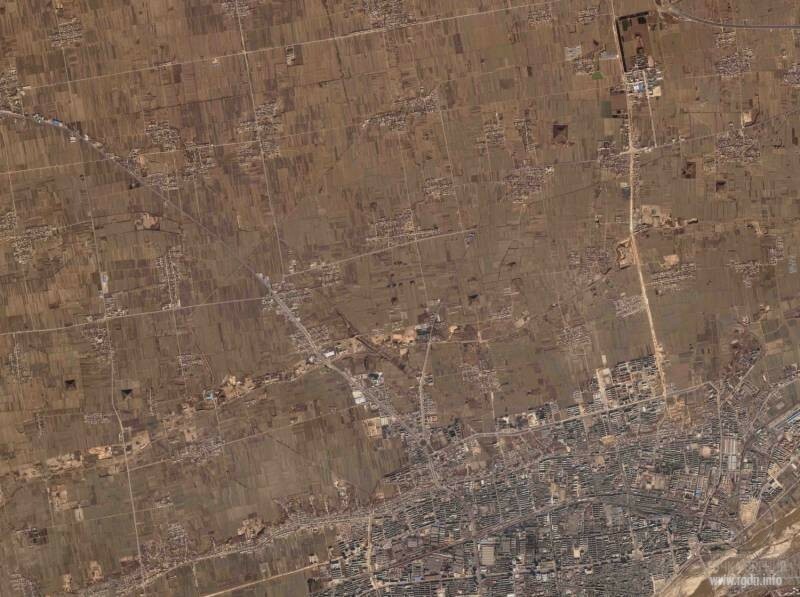 Being on the site with satellite images one comes to understand it’s a mirror reflection of a pyramid. An impression arises that the pyramid was turned over, dug into the ground and then taken out. Hence, there is a “mirror reflection” – a pyramid antipode. Mixed pyramids. This type includes nearly all small pyramids of up to 10 metres in height, including cone-shaped structures with steps on one or two sides only. Since the number of small pyramids may equal to several hundreds, they are subject to further exploration. Moreover, there is a pyramid type that does not fit into any of the aforesaid categories, for it applies to the (Great) White Pyramid only. According to ancient Chinese legends preserved until today, construction of the pyramids took place during the reign of emperors who originated from the Sons of Heaven – those who had “descended to the earth on their fiery metal dragons”. Among the Sons of Heaven, legendary Huangdi and several of his assistants are ranked. 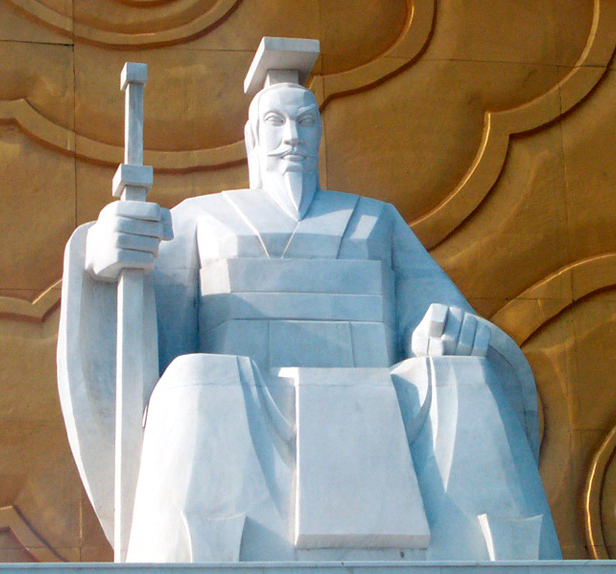 Huangdi is highly revered in China and regarded as the founder of the Chinese nation. Official data indicate he ruled between 2692 and 2592 BC. According to Wikipedia, the name Huangdi is usually translated as the Yellow Emperor, but the hieroglyph di may mean not just “emperor”, but also “spirit” or “deity”. Huang also has a deep symbolism: the yellow colour is traditionally associated with the peculiar yellowish tint of the river Huang He (Hwang Ho). Huangdi had a marvellous tripod 4 metres in height, which was difficult for curious ones to peep in. “Hundreds of spirits, beasts and animals filled it inside”, the tripod “boiled”, “depicted a dragon flying in the clouds”, belched fire from its tail, and was “something like the Great Single One”, i.e. Dao – the mover of the Universe. The dragon tripod was oriented on the star from which the emperor had arrived, and from time to time it took Huangdi and his team somewhere. This device “knew the past and the present”, determined favourable and unfavourable signs, could “rest or move”, “become light or heavy”. The device originated “from the land where the sun’s born; it covered myriads of miles in one day, and one who straddled it reached the age of two thousand years.” The “dragon” speed of movement influenced the flow of time. 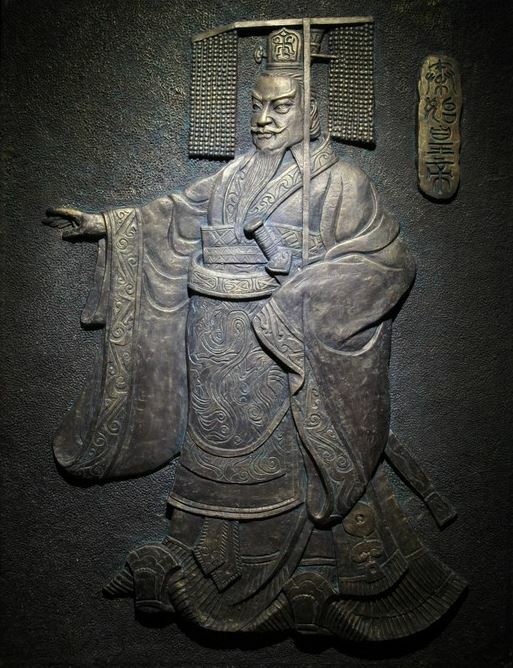 Huangdi is considered to be the author of a number of texts including several fundamental medical treatises. The most famous are Huangdi Neijing and versed Huangdi Yǐnfújīng particularly revered in Daoism. Legends and chronicles say the Son of Heaven was surrounded by monsters and beasts that obeyed him. Huangdi took the “pill of immortality” and flew back to his star. By another version, when Huangdi understood he could not rule forever and it was time for him to depart to heaven, he arranged a great feast. At the height of merriment a big dragon with golden scales came, flying. Huangdi grasped it’s a messenger from the HeavenlyPalace, calling him to return to heaven together with more than seventy other deities. They rose to the clouds and saddled the dragon. Rulers of small lands and ordinary people wanted to follow them. Pushing and jamming one another, they seized the dragon’s whisker, but there were too many people, and the whisker broke. Frantically snatching at each other, everybody fell down to the ground. Thus, Huangdi went along his great Way – to Dao, to heaven. It’s a very interesting legend, isn’t it? Especially if we assume that Huangdi is Bodhisattva, 72 are dimensions of the Universe, and people cannot get into the spiritual world unless they have rejected their ego and everything that attaches them to the material world. Since ancient times all emperors arranged feasts and made sacrificial offerings in honour of Heaven and the Sons of Heaven at the winter solstice, while at the summer solstice they carried out festive ceremonies in the Temple of the Earth. Quite interestingly, there is information about Huangdi in the AllatRa book, again in the context of the knowledge of the pyramidal human energy structure and the four human Aspects. By the way, this is one more proof that pyramidal buildings were popular in ancient times all over the world not without reason, not to mention the true purpose of majestic structures of such kind. Anastasia: Indeed, the one who established this tradition obviously knew more about the invisible world… Besides, these concepts sound familiar… You said that the Wu Ti concept was equated to the symbol of the five cardinal directions or points, or five deities. Incidentally, is Huangdi (the Yellow Emperor) the fifth sovereign, the centre of these four cardinal directions, four deities? Rigden: Absolutely. 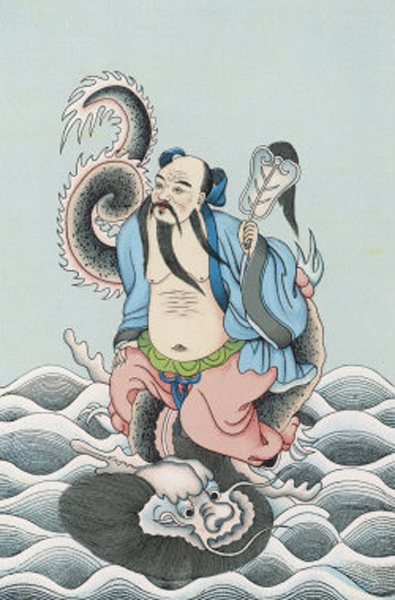 Huangdi, or the spirit named Hanshu-nu (“he who has swallowed a rod”). 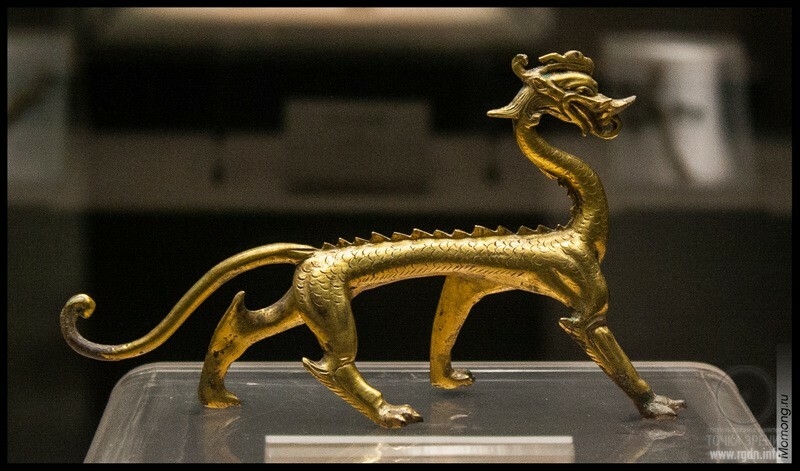 The embodiment of his spirit is the unicorn Qilin – a symbol of the centre. Anastasia: In essence, this is a prototype of designation of the Soul – the centre of the invisible human structure and an indication of its connection with the Front Aspect (the symbol of which was the unicorn). Rigden: Let us take a closer look at the characteristics of these characters. Huangdi means not only “the yellow emperor”, but also “the shining (light-emitting) sovereign.” This symbol of the centre was actually regarded as the supreme heavenly deity. He was depicted with four eyes and four faces. Such tradition originated from ancient Chinese shamans who put on a relevant four-eyed mask during sacred rituals. Why was precisely a four-eyed symbol depicted? First of all, this relates to the conventional designation of the four Aspects. Secondly, this is because, while performing certain meditative techniques, man obtains the so-called all-embracing vision of the visible and the invisible worlds – a simultaneous vision of everything that happens around him and sometimes even in other dimensions. Such capabilities are not available to the ordinary human vision in the usual three-dimensional world. But should a person alter one’s state of consciousness, obstacles disappear before his or her inner vision. Chinese archaeologist Van Silin is confident that the pyramids had an astronomical purpose and represent an example of ancient people’s extraordinary competence in geometry and math on the whole. 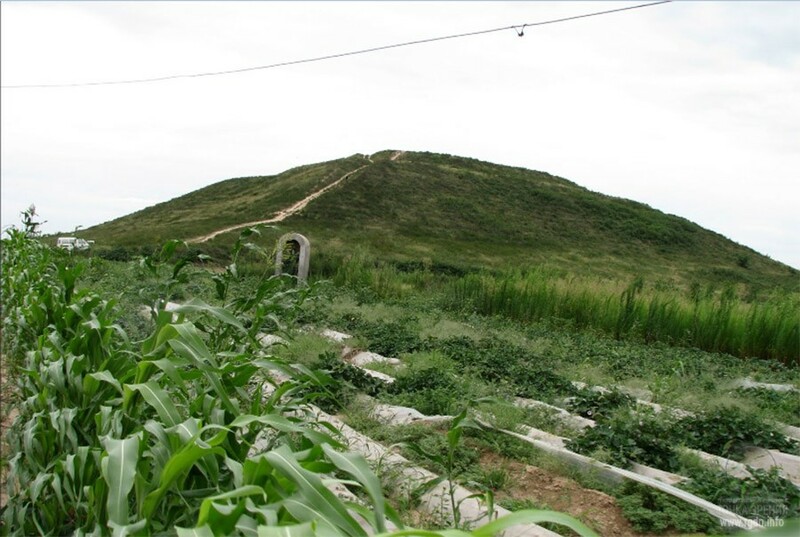 Archaeologists discovered several pyramids near the river Wei Ho (Wei He) to the north of Xi’an. It is asserted one of them is located precisely in the centre of Ancient China with a deviation of several metres only. The pyramids in YaSenGarden. As it’s been mentioned, the pyramid valley contains 16 large and many small pyramids. Among those there are two remarkable pyramids of 35-37 and 30 metres in height respectively. Together with one smaller pyramid they make up a rather interesting group: aligned by height, they resemble the three Pyramids of Giza in Egypt, though the Chinese pyramids are oriented differently and about 4.5 times smaller than the Egyptian ones. 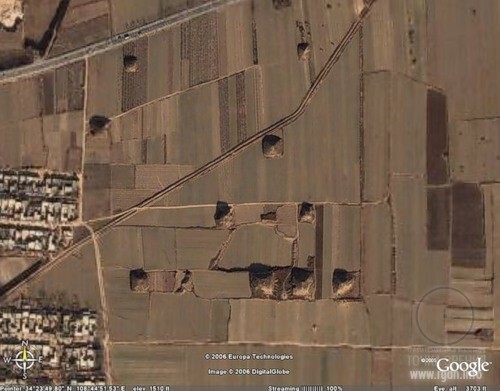 For comparison, images below show the two groups of pyramids in the two different parts of the world. - German engineer and architect Helmut Fuernreder has discovered that some of pyramids in China were built according to the golden ratio. For instance, if we divide the height of the (Great) White Pyramid (300 m) by the length of its base (485 m), we get 0.618. 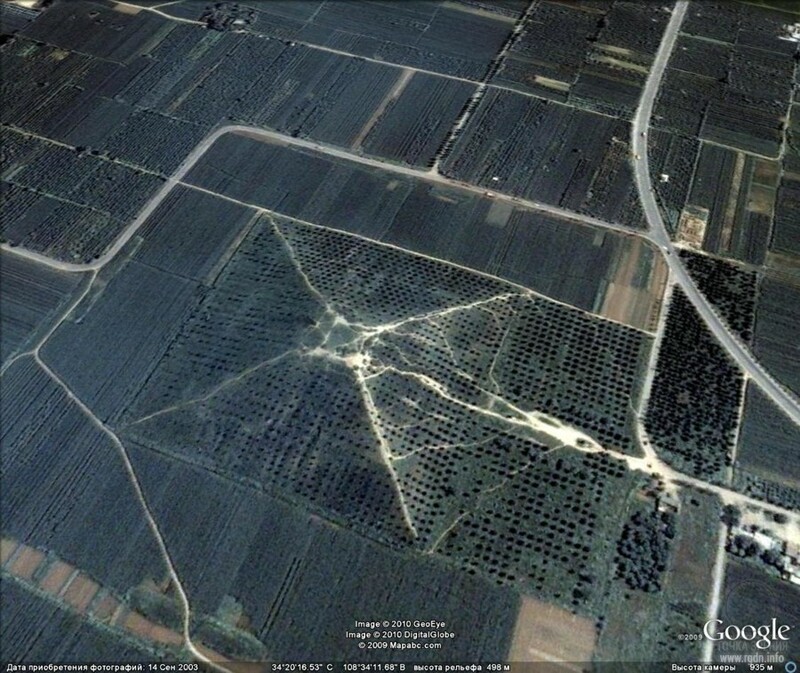 - A pyramid is a tetrahedron per se, whereas in China (as mentioned above) an antipodal pyramid was discovered, i.e. a pyramid-shaped hollow. 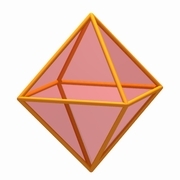 At that, we encountered an assumption on the web that pyramids possibly represented octahedrons, not tetrahedrons, by their initial structure. As of today we have no idea whether such information is of any significance, but hopefully this will once be clarified. - As for the age of Chinese pyramids, researchers are in permanent disputes as well, because just like in Egypt the hypothesis that these are royal sepulchres has neither been thoroughly verified nor confirmed. Many pyramids may certainly be ascribed to the time of royal dynasties, while others were constructed much earlier as researchers believe. Analysing satellite images of the groups of pyramids located to the east of Xi’an, the British writer and researcher of ancient civilizations Graham Hancock, whom we already know owing to the Orion-Draco Pendulum and other articles, has made an assumption that location of these pyramids coincides with location of the stars in the constellation of Gemini on the vernal equinox day in 10,500 BC. Unfortunately, we have not found any detailed information by Graham Hancock on the Chinese pyramids. 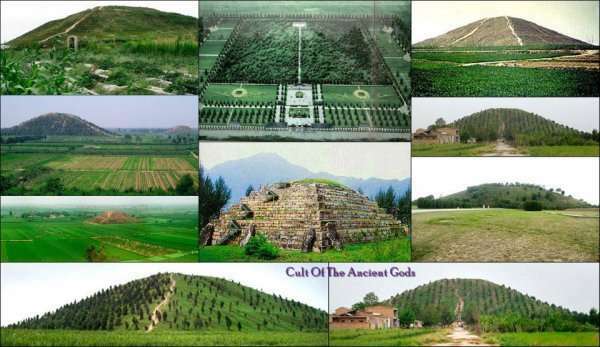 The Chinese pyramids became known outside China only in the 20th century. It’s still a riddle why Chinese authorities don’t let scientists examine and study them. As for the pyramids where researchers have been admitted, they provided no objective evidence that the pyramids were royal sepulchres. Therefore, there is no actual proof the pyramids were built by the order of Chinese emperors for burial purposes. However, just like in the case of other underexplored artefacts and monumental buildings, most “scientists” prefer to adhere to a conventional opinion and to form made-to-order ideology for the masses, while any attempts to have a different view are regarded as violation of standards and rules, and such alternative views are immediately criticized in order not to let them spread and sow doubts in people’s minds. 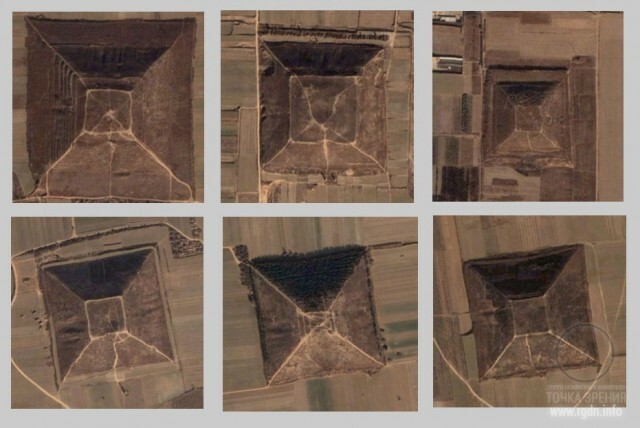 It makes us wonder why most pyramids in China are accurately oriented to the cardinal points (in particular, to the ancient North Pole of the Upper Paleolithic) and have rather precise proportions, judging by satellite images. Moreover, even having a fertile imagination, it’s quite difficult to assume how such huge structures were erected in those remote times by means of simple tools and manual labour only. Everything would be clearer should the pyramids were located, say, in a single place on the planet, but the presence of pyramids all over the world proves they were constructed not without reason and had a special meaning not only for the civilizations of that time, but perhaps for us, current humans, as well. Unfortunately, most contemporary scientists follow the fable principle: “As for the elephant, I haven’t noticed it.” That is, instead of thoroughly exploring the truly unique data left by ancient civilizations they (we are sure) deliberately hide them from people’s eyes, though only a totally blind person would fail to see the obvious popularity of particular geometric shapes in architecture all over the world. Based on the articles posted on our website earlier, emblematic monumental structures were often a reflection of the sky on earth and were of great significance in terms of transferring information to the future generations about forthcoming events. Judging by Graham Hancock’s modest online mention, the Chinese pyramids could have been of the same significance. 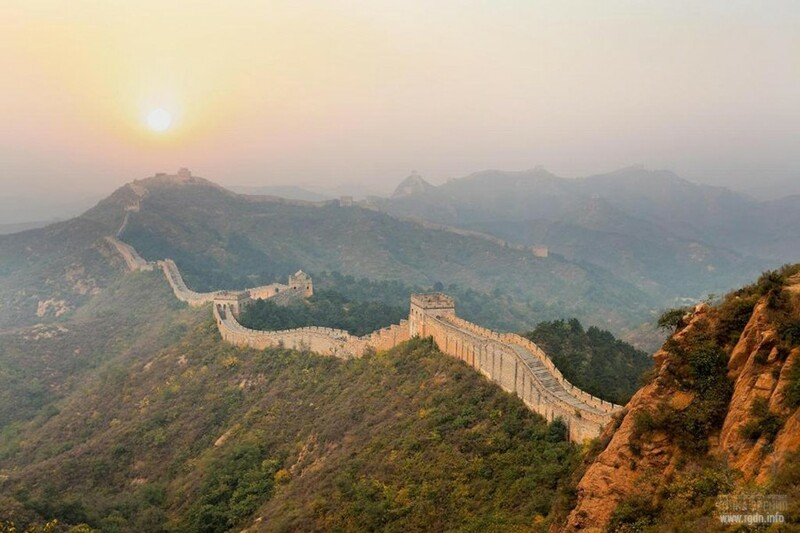 If such assumptions are true, and the Chinese pyramids reflect the layout of the constellation of Gemini on the vernal equinox day 10,500 years ago when a global disaster took place, this can be another evidence of what the Orion-Draco pendulum indicates. Does this mean a new global disaster is inevitable? Again, we see that nearly every ancient civilization had some People from Heaven who came at civilization emergence in order to give people knowledge of spiritual life and life on the earth. Most importantly, the information contained in the AllatRa book gets confirmed and gains a really deep and totally clear meaning for contemporary humanity, doesn’t it? 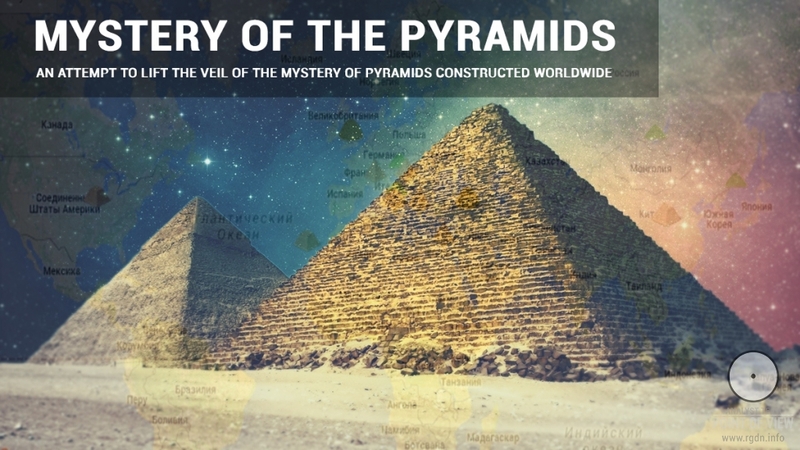 Well, dear friends, another fact seems to be proved: most of interesting discoveries on pyramids and other monumental structures on the planet are made by independent researchers, journalists and lovers of antiquities and represent sensations that are not confirmed by official science. Whereas official science still roams in a “paid-for mirage”, regarding its own hypotheses as the absolute truth and making other people believe in them. Yet, as we can see, in the light of the Primordial Knowledge which is now in the human world, more advanced views of the old mysteries emerge, and there are more and more people who search for the truth and, most importantly, feel it. Everything’s indeed in our own hands.